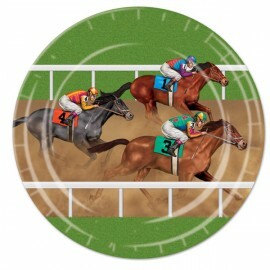 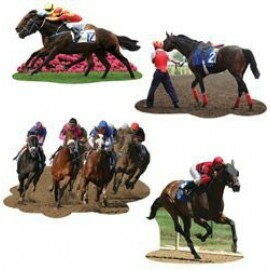 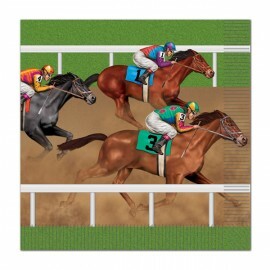 Centrepiece Horse Racing (32.5cm High) Each..
Cutouts Horse Racing Assorted Designs (35cm) Printed 2 sides Pack of 4.. 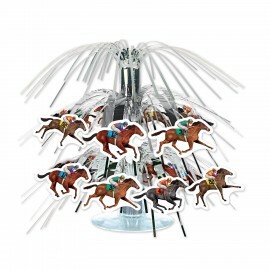 Horse Racing Mini Cascade Centrepiece 19cm Silver Foil & Clear Plastic Base with Cardboard Horses Each.. 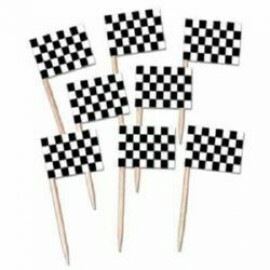 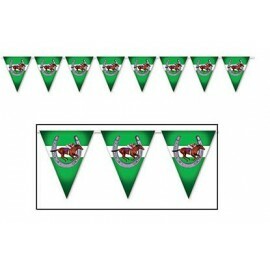 Horse Racing Pennant Banner Plastic 3.66m Plastic Indoor or Outdoor Use - 12 Pennants 27cm x 21cm Each.. 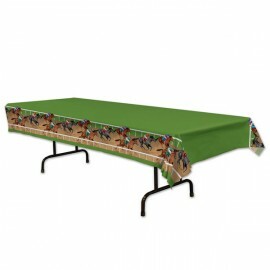 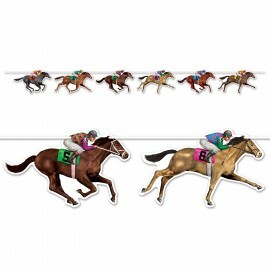 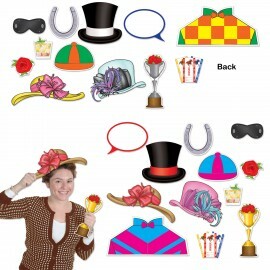 Horse Racing Streamer Banner 1.83m 6 x 16cm x 27cm Assorted Cardboard Cutouts & String Provided Each.. 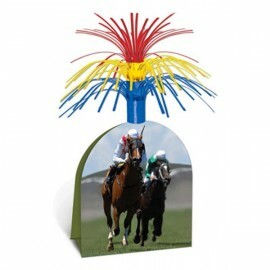 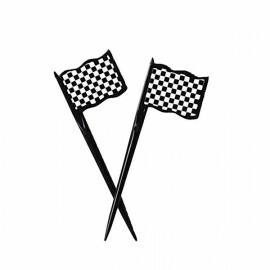 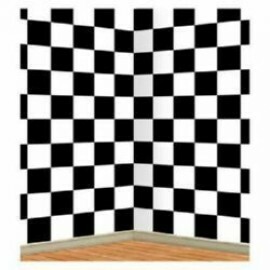 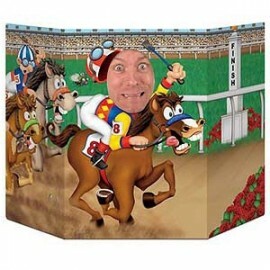 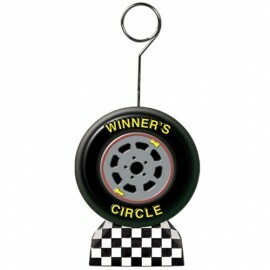 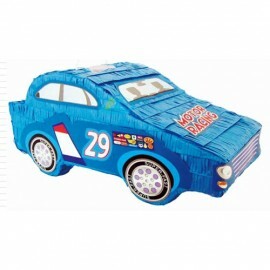 Horse Racing Tablecover Plastic 137cm x 274cm Each..
Photo Booth Props Horse Racing Theme Assorted Sizes - Cardboard Pack of 12..
Photo Holder Balloon Weight Racing Tyre (170 grams) Each..
Picks Racing Flag (6cm High) Black & White Check Pack of 50..
Pinata Blue Racing Car (Not suitable for Express Post due to size of product) Each..